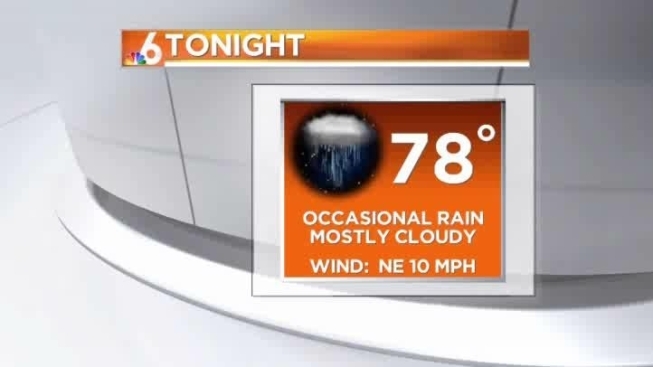 A lingering front will keep rain likely Wednesday across South Florida. On and off showers will be capable of producing locally heavy rain as they move onshore. The breeze will increase to 15 mph with gusts closer to 20 mph today. The onshore flow will carry most showers from the northeast to the southwest. Skies will average partly to mostly cloudy during the dry times. Wake up temps in the upper 70s to lower 80s will reach highs in the upper 80s this afternoon.